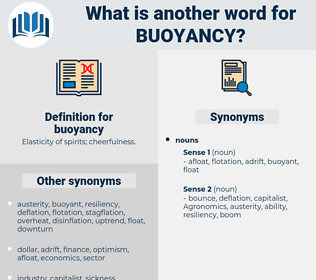 What is another word for buoyancy? 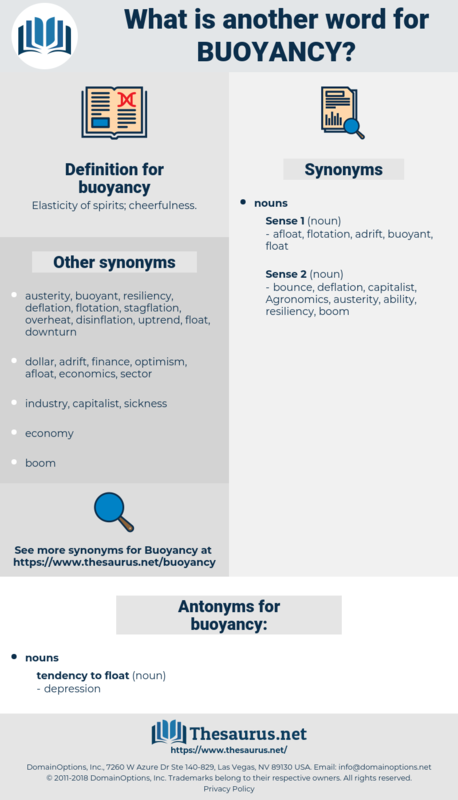 vibrancy, dynamism, flotation, floatation, momentum. But in spite of all, in spite of reason and feeling alike his essential buoyancy asserted itself. Once more on firm footing the fearlessness and buoyancy of her nature returned to her, and the young girl darted away toward the spot designated with a light and rapid step.